We recently returned from a early November adventure to the far Northeast Corner of Washington state. We went to Salmo Pass looking for northern and mountain species. Among our target birds were Boreal Owls, Boreal Chickadees, Crossbills, and Bohemian Waxwings. Of our targets we only saw the Chickadees and didn't manage any photos of them but we did have some nice surprises and a good time along the way. 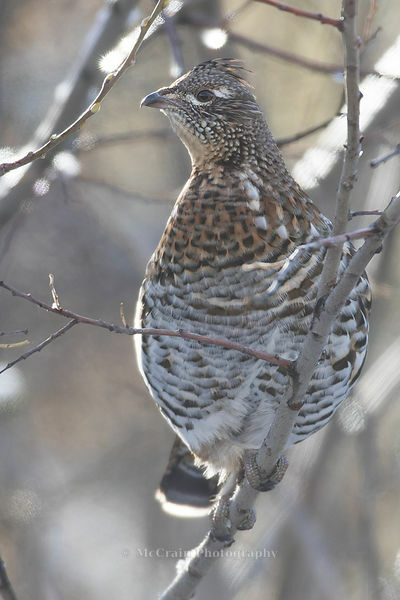 A Ruffed Grouse that was eating buds off a bush beside the highway as we went over Sherman Pass. For a mid-day break we drove to the top of Salmo Mountain. 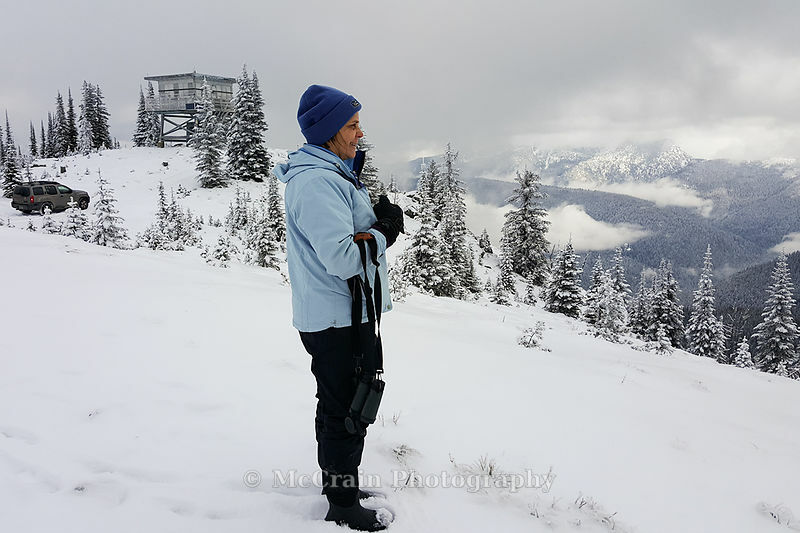 Here is Jody taking in the view from 6828 ft up in the snowy mountains. While the birds were somewhat scarce there were plenty of Red Squirrels. 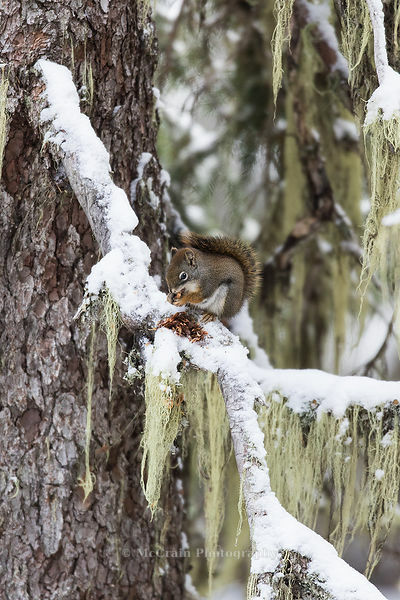 This one was busily eating a pine cone. 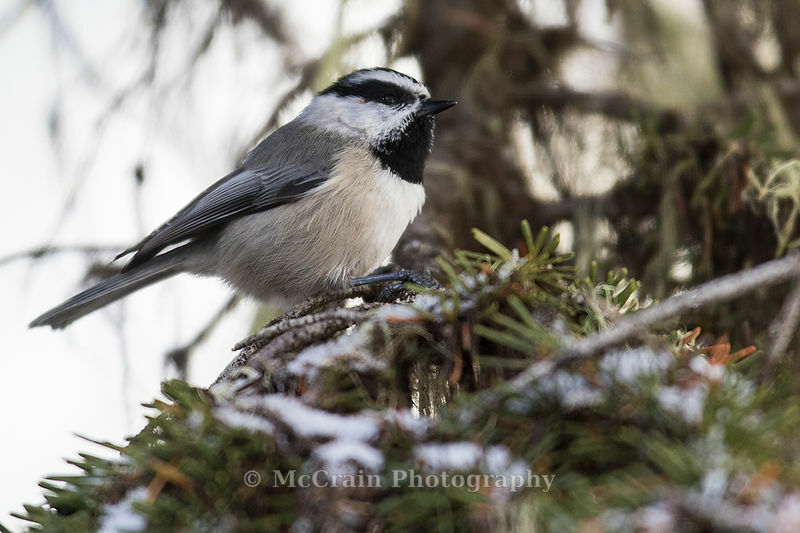 This Mountain Chickadee was part of a mixed flock of Mountain and Boreal Chickadees, Red-breasted Nuthatches, and Golden-crowned Kinglets. You could hear the birds and see them flit around in the trees but it was challenging to get a clear view. One thing about birding in the mountains in the snow is that there is a lot of forest for the birds to occupy. 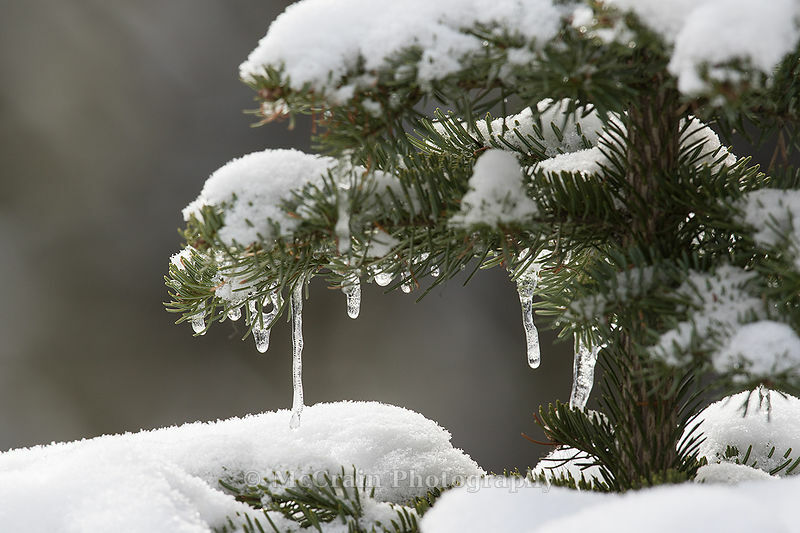 We sometimes spent hours without even hearing birds, just spending time with the wind and snow covered trees. That is sometimes just part of the fun of being out there. Our last evening up on the mountain we stayed out after dark looking for owls. 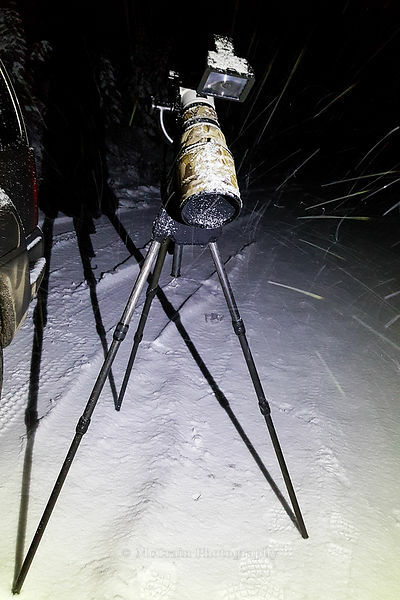 We didn't see any owls but did get a fair amount of snowfall on us and the camera gear.